In The Business of Good, serial and social entrepreneur Jason Haber intertwines case studies and anecdotes that show how social entrepreneurship is creating jobs, growing the economy, and ultimately changing the world. In this edited excerpt, Haber profiles TOMS Shoes, which is the poster company for the one-for-one model of social entrepreneurship. Social entrepreneurship in America seeks to solve vexing social problems. It builds bridges to those who have otherwise been left behind. And social entrepreneurship isn’t limited to the developing world -- it’s a global movement. In the developed world, social entrepreneurs can take aim at societal problems at home or abroad. They’ve established companies that provide aid in Darfur or even next door. How do they do it? The for-profit space uses consumer markets to power change at home and abroad. The nonprofit sector develops innovative programming and partnerships to deliver lasting and meaningful results. And when it all comes together, the results can be extraordinary. By 2006, more and more social entrepreneurs were operating in the developed world, using our consumer markets to foster change. Especially interesting was the one-for-one model, whose pitch went something like this: You buy X, we do Y. No company came to embody this model -- its strengths or its shortcomings -- like TOMS Shoes. For many Americans, the first exposure to TOMS came through a commercial. It was May 5, 2009. Season eight of American Idol was well underway, and more than 23 million people tuned in that night. During a commercial break, AT&T aired the 60-second version and, as they say, the rest is history. TOMS Shoes saw an instant spike in business, going from 9,000 visitors a day on their website to 90,000. My name is Blake, and I’m the chief shoe giver at TOMS shoes. I operate my entire business from my phone. I need a network with great coverage because for every pair of shoes we sell, we give a pair away to a child in need. It would be impossible to do this without a network that works around the world. The visual, audio, and emotion crescendo comes on the words “. . . because for every pair of shoes we sell, we give a pair away to a child in need.” It’s a touching ad and made all the more significant because it’s true. What was so powerful about the ad? Why did it strike such a chord with Americans? It had to do with the message and the messenger. The ad featured the founder of TOMS Shoes, Blake Mycoskie, who single-handedly redefined social entrepreneurship in America. Mycoskie is one of those people who just breathes entrepreneurship. He started his first venture, a laundry business, while in college. He then started an advertising company that he later sold and pursued other ventures as well. Mycoskie had what turned out to be one of his 15 minutes of fame as a contestant on the CBS reality show The Amazing Race. During a trip to Argentina, Blake met women who were collecting shoes to give to children so they could meet the school dress code. That conversation spurred Mycoskie into thinking more deeply about how he could help these children and more. He came up with a plan that centered on a single, elegant solution. He would start a shoe company, and for every pair he sold, he would donate one to a child in need. With its unique one-for-one model, fun branding, and stylish shoes, TOMS was a hit with customers. “The one-for-one model I’ve found is really effective in allowing a consumer to know exactly what’s going to happen. There is no ambiguity; there’s no crazy accounting. You buy a pair of shoes; we give a pair of shoes to a child in need,” Mycoskie says. By 2013, the company had given away its 10 millionth pair. That of course means it had also sold its 10 millionth pair. The company simply exploded and is on the way to unicorn status (that’s a $1 billion valuation in startup-speak). In 2014, the company hit a valuation of $625 million and sold a 50 percent interest to Bain Capital. With more than 10 million pairs donated and a company valuation of over $600 million, TOMS was the embodiment of social entrepreneurial excellence. They did well for their company while at the same time doing well for society at-large. Or did they? So on one hand, you have a growing, thriving company that’s giving away shoes. On the other hand, you have the social mission. Is it really working? This gets back to the root of what social entrepreneurs do. They really don’t just give away stuff. That hasn’t worked. Social entrepreneurs go deeper to solve the heart of the problem. It would have been easy for TOMS Shoes to ignore the critics. But TOMS did something else. They listened. Mycoskie decided to take aim at the underlying issue behind why people would need donated shoes in the first place: poverty. The way he saw that, the best way to alleviate poverty would be through education and jobs. TOMS built shoe-manufacturing facilities in places like Haiti, Ethiopia, and Kenya. Over 700 jobs have been created to date. They’ve teamed up with giving partners and launched programs beyond their traditional one-for-one model. The company has moved to tackle clean water, vision, safe birthing, and bullying. Staying true to their for-profit social entrepreneurial roots, for each expanded social benefit, there’s a new product to offer to consumers. TOMS eyewear delivers not only free eyewear to those in need, but also an eye exam along with surgery and medical treatment when required. TOMS Roasting Company, launched in 2014, provides a week’s supply of clean water to a person in need. A TOMS Bags purchase secures materials and training so health-care workers can deliver babies safely. TOMS StandUp Backpack funds programs here in the U.S. to combat bullying. On the newly launched TOMS Marketplace, social entrepreneurs can sell their products to TOMS’ vast customer base. TOMS went for a more holistic approach to servicing the developing world. TOMS Roasting Company acquires its coffee from small plantations in places like Peru, Malawi, Rwanda, Honduras, and Guatemala. 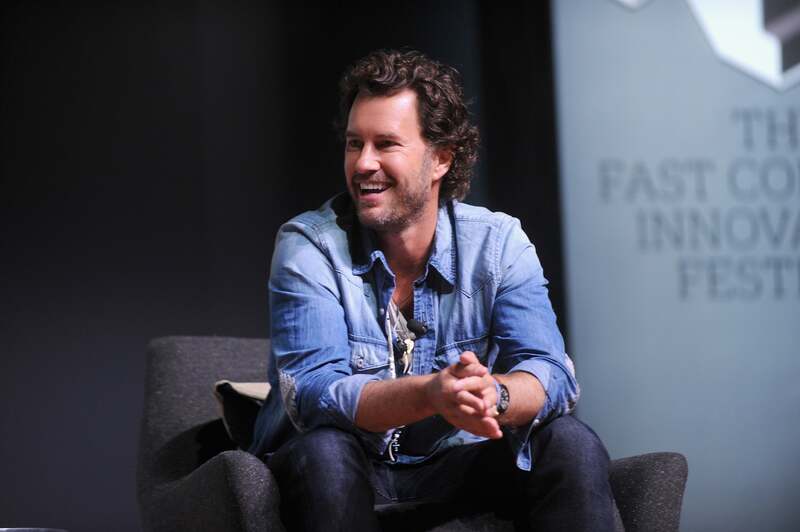 According to Mycoskie: “I think once people understand the impact they can make buying a cup or bag of coffee, it will create an even stronger connection to TOMS than they might have already had. And that’s what business is about.” They haven’t abandoned their original one-for-one model, but they’ve listened to the criticisms and made adjustments.